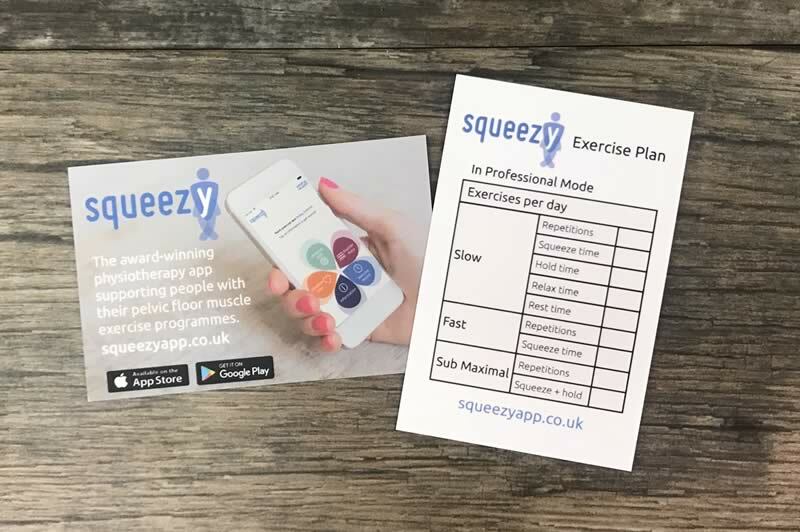 A tool for setting patients their own customised exercise plan. 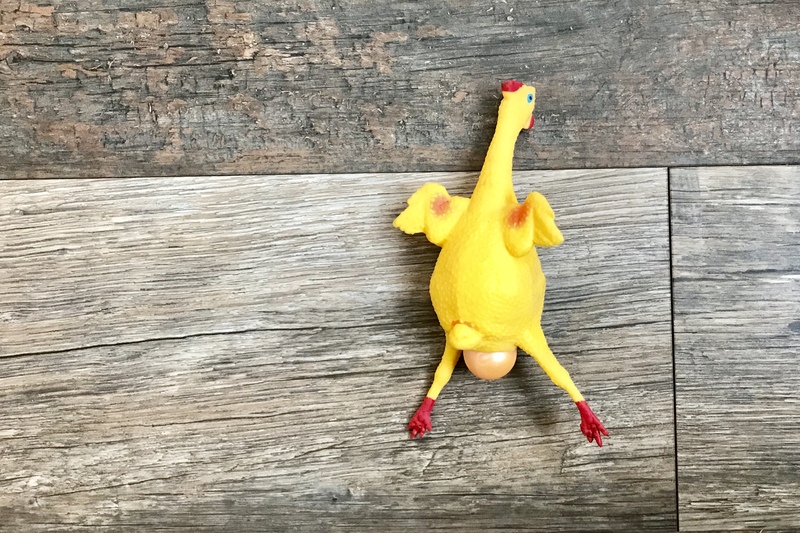 Perfect for demonstrating what happens with pelvic organ prolapse. 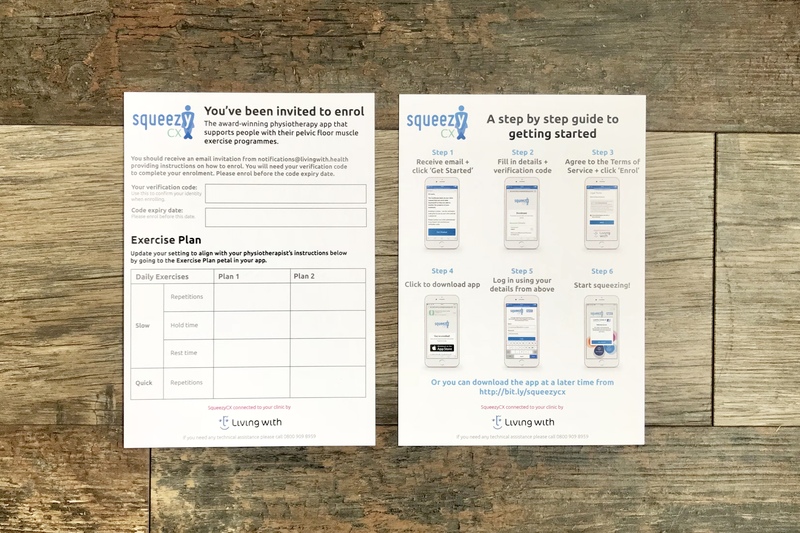 Keep in touch with your pelvic floor. 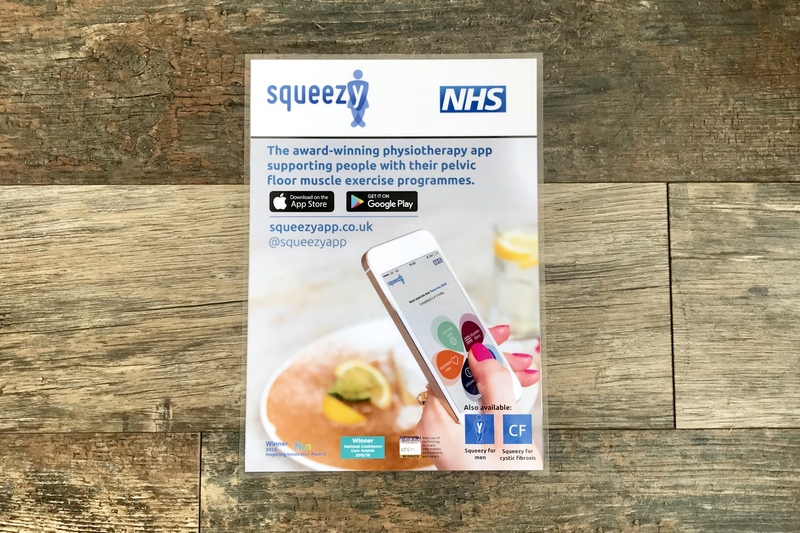 An A4 poster about the Squeezy App you can put up around your clinic. 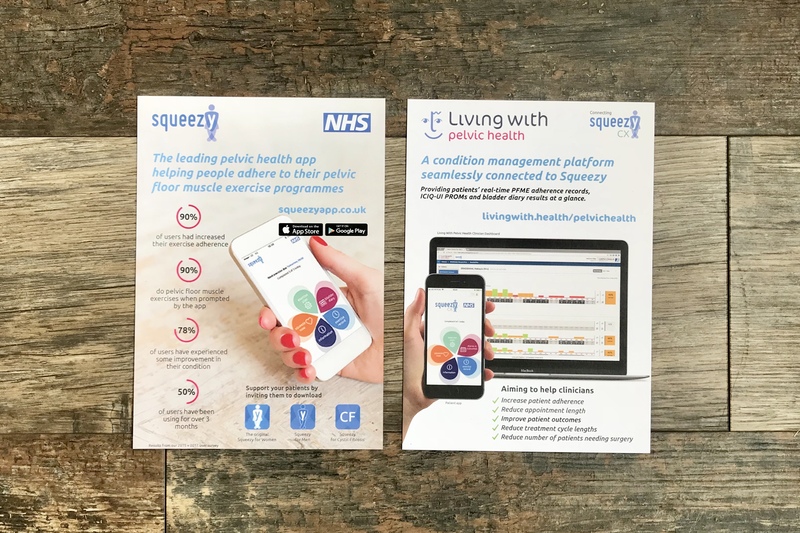 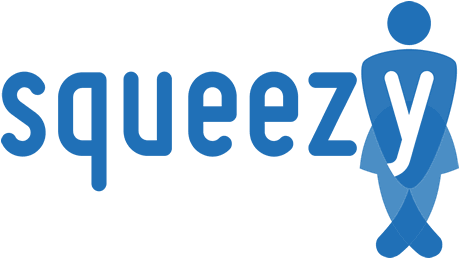 A resource for clinicians using our Living With Pelvic Health platform to help patients get started using SqueezyCX. 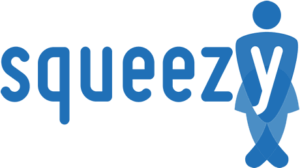 Download a flyer about Squeezy.